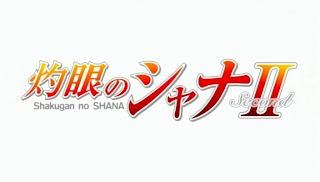 I've finally finished Shakugan no Shana Second, now that I've been picking up on animé again! Fanservice? Plenty! Just in all the wrong areas: Cosplay! 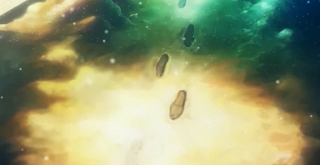 Like how the first season was only meant for introducing Yuji and Shana, the second season really focused on their development, alongside Yoshida, and just slowly bridging the appearance of the baddies, who have yet again been foiled, have yet again live to fight another day, and have yet again to carry on to the 3rd season. In a lot of sense, this season is VERY much alike to Zero no Tsukaima 2. Basically how this season was nothing special in the plot, and only how it just tells us to expect another season. Like a movie franchise, they usually come in trilogies, or at least that's the feeling I get from this. And both took a VERY long time to unfold. The Fumina arc did leave me in a state of suspense, but not enough for me to care for more than 5 minutes after the episode. The Big City Battle 2 (for BCB1, see 1st season) had also dragged on into unnecessarily long episodes. If anything, this entire season could've been complete in half the time, really! And Hecate's emotion-catching plan backfiring? Expected, but it did come off at the right time. And someone PLEASE explain this scene to me! DAREGA! ?